When clients contact you about a winter engagement session in New England, it can be pretty tough! Not only is the weather incredibly unpredictable, but finding the right location can be tricky. 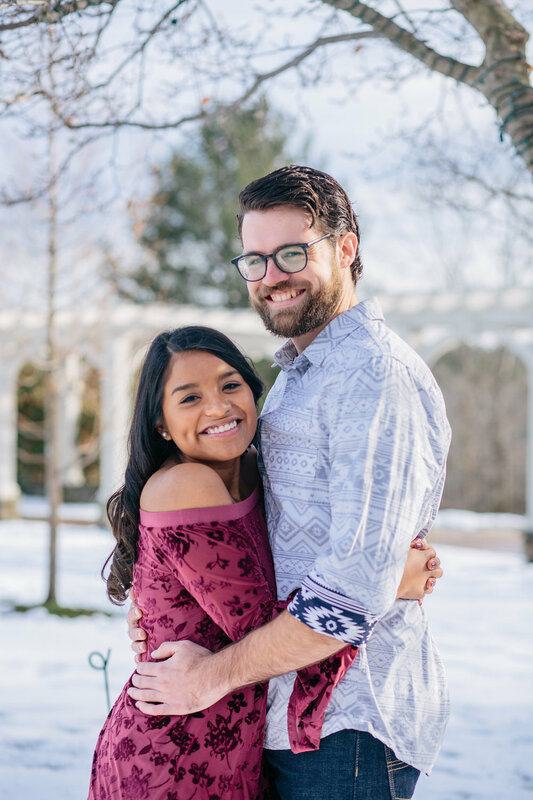 There aren't a lot of indoor places that I personally know of that could work, and outdoor photos are almost impossible with the cold weather and the snow! 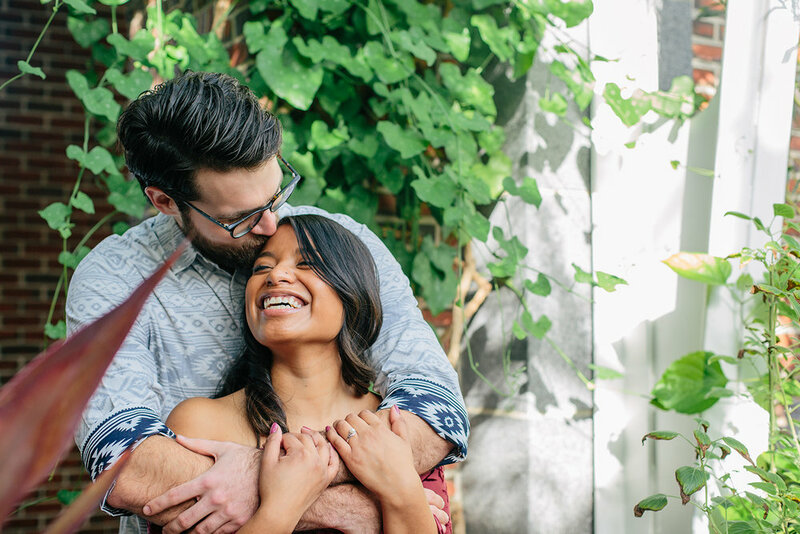 But, when Derek and Michelle emailed me regarding their engagement photos, they had a plan! 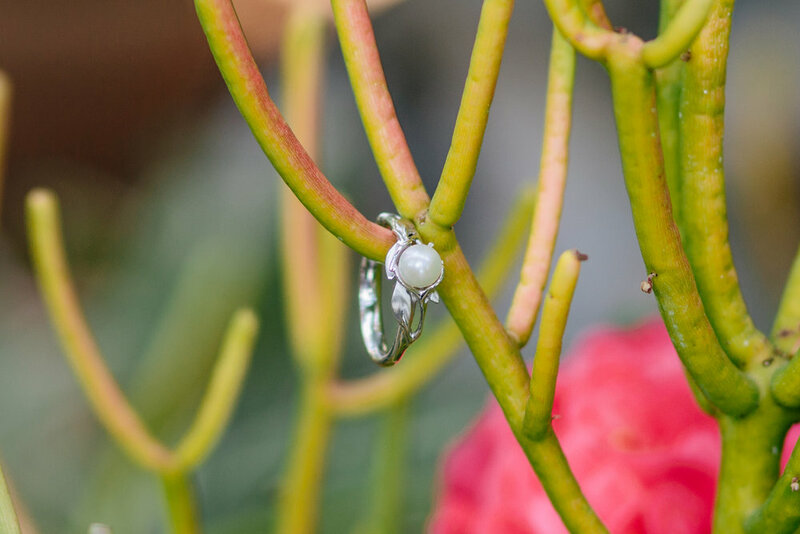 The place where they got engaged, The Tower Hill Botanic Center, was a perfect option for their engagement photos! This center has gorgeous indoor gardens, so it made for the perfect spot! The weather the day of their session was actually on the warmer side, so we were even able to sneak out for some outdoor photos. There is one spot, in particular, Michelle and Derek really wanted one photo. The spot where Derek proposed. You'll see the photo of Michelle and Derek standing in the snow kissing, Michelle's foot is popped. That is the exact spot Derek proposed. How sweet is that?! 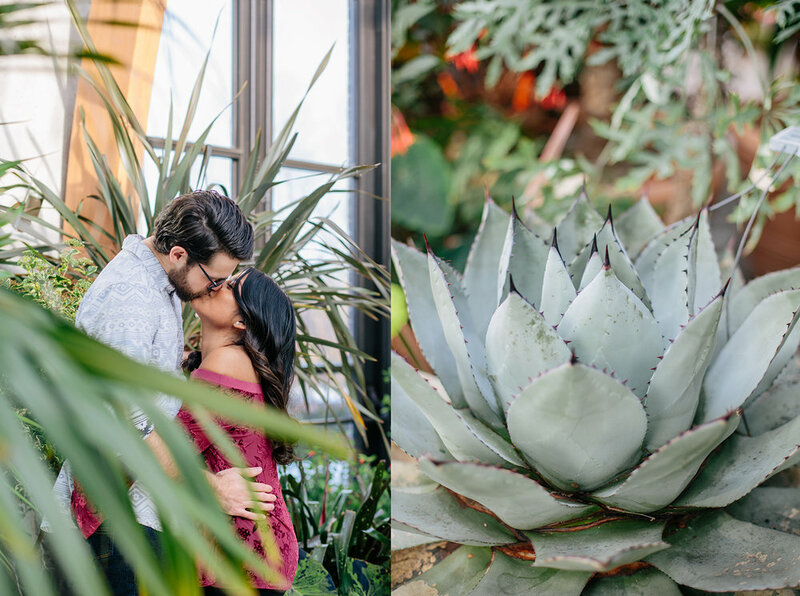 I have LOTS of favorites from Michelle and Derek's engagement photo session at the Tower Hill Botanic Garden in Boylston, MA. I tried narrowing them down for this blog, but it didn't work out so well. So, enjoy all of these lovely photos of this beautiful couple!